At midday Oct. 17, Hurricane Gonzalo was bearing down on Bermuda with 125 mph winds and a potentially life-threatening storm surge. The Category 3 hurricane was about 100 miles south-southwest of Bermuda but was still lashing the island with heavy rains and strong winds. The National Hurricane Center predicts that the eye of the storm will be near Bermuda the evening of Oct. 17 but could start to weaken the next day. 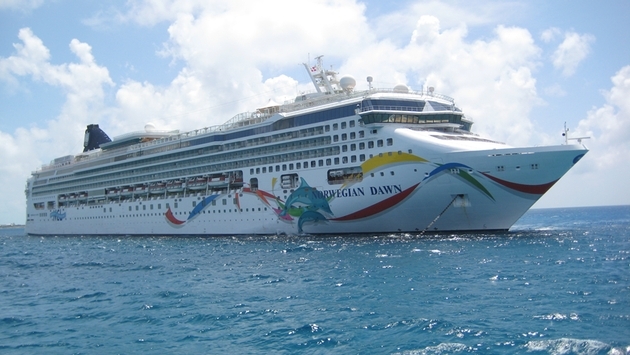 Two cruise ships changed itineraries to avoid the storm. Norwegian Cruise Line said its Norwegian Dawn was embarking passengers in Boston as scheduled Oct 17, but they could be in for a bumpy ride. To avoid the hurricane, the ship will visit Nassau and Great Stirrup Cay, Bahamas, this week instead of spending three days at King’s Wharf, Bermuda. Royal Caribbean International’s Explorer of the Seas will head north to Canada instead on its Oct. 18 departure from Cape Liberty, N.J. The ship will call at Halifax, Nova Scotia, on Oct. 20 and St. John, New Brunswick, on Oct. 21.